Each year, more than 3,500 people die from house fires in the United States alone. House fires caused more than $8 billion in property damages annually. With these staggering figures, wouldn’t you want to spare your home from accidental fire? Some smoke detectors are powered by a battery; others are hardwired into the home’s electrical system. Battery-powered smoke detectors are very easy to install and the battery lasts a long time. Most of these detectors will generate a sound to indicate when the batteries are expiring. Unfortunately, most homeowners do not maintain battery powered smoke detectors at all. If you are using battery powered smoke detectors, you have to check the batteries regularly. These detectors are hooked into your home’s electrical system. Usually, hardwired smoke detectors have their own battery backup in case of a power outage. This type of smoke detector produces electrically charged molecules or ions that set off the alarm. When smoke enters the home, the ions attach themselves to it to reduce the flow of electric current. This will set off the alarm. Ionization detectors are best for detecting the littlest amount of smoke. 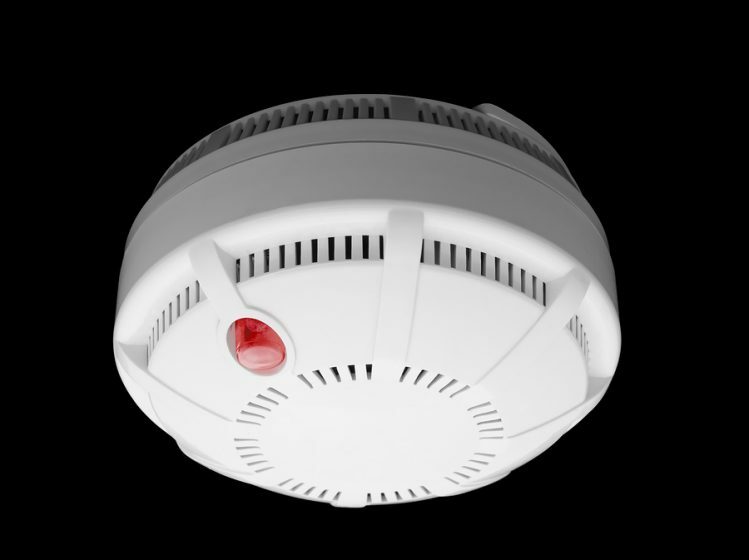 This smoke detector utilizes an optical detector sensor or a photo beam to sense smoke. The photo beam detects smoke by the amount of deflected beam of light to a smoldering fire. Dual detectors feature a combination of optical detector sensor and ionization to detect smoke. This is the best smoke detector on the market because it can accurately detect the smallest amount of smoke. It is also more expensive than your average smoke detector. Tip 1: You want to purchase several smoke detectors that bear the seal of approval from a reputable testing laboratory. You have to install one smoke alarm in every room, including the attic, the basement and the outdoor area of your home. Smoke alarms installed in the basement must be placed on the ceiling at the bottom of the stairs that lead to the next level. Tip 2: To avoid mistakenly triggering the smoke alarm when cooking in the kitchen, the smoke alarm must be 10 feet or 2 meters away from a cooking appliance. Mount the smoke alarms high on walls or ceilings but they should be placed not more than 12 inches away from the ceiling. If the ceilings are pitched, the alarm should be installed within 3 feet of the peak. Tip 3: Never install the smoke detectors near ducts, doors, windows, or any place where draft could affect their operation. Do not paint over smoke alarms, place stickers or other decorations. Doing so could affect the operation of the alarms. Tip 4: Interconnect all smoke alarms if you can. This way, if a smoke alarm detects fire, all smoke alarms will sound off. You can do this by hardwiring the alarms or using wireless technology.